This week I’m participating in both the Coffee Date (hosted by Jenna at DearestLove) and Find Beauty Friday (hosted by Aimee Lynn Photography) Link Ups. 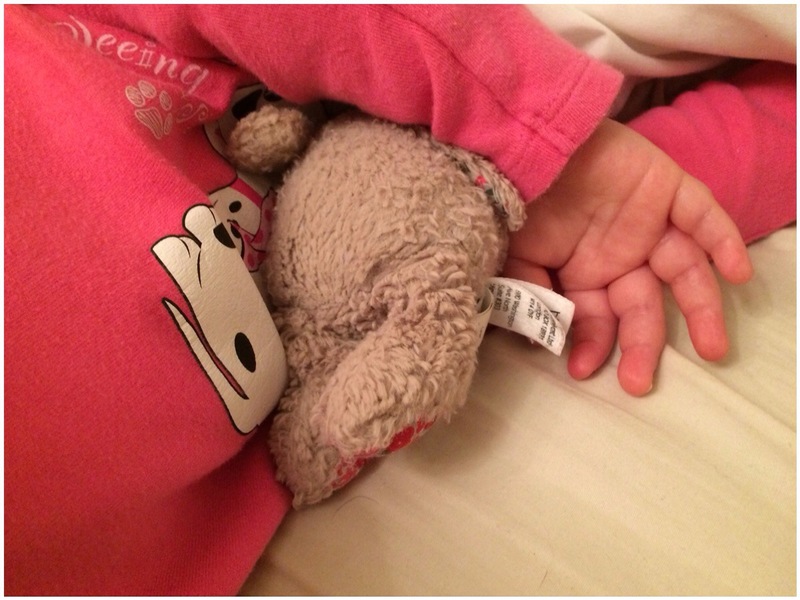 This week I’ve found beauty in my little girl. She’s such a jolly little thing that I can’t help but fall in love with her everytime she smiles at me. I wish I could show you her smile but I won’t share her photo on here. The above photo was taken at around 6.45am on Thursday. Little Miss was awake and whinging at 5.20am so I brought her into our bed for cuddles. An hour later when my alarm went off she wouldn’t move and just settled herself in the middle of the bed holding her Mr Bwns. I’ve been told that when you’re pregnant that you can have more vivid dreams. This week I’ve had two weird ones! In the first one I was a gangster’s moll in my hometown. And my gangster was Eric Roberts! Told you it was weird!! I had looked him up on IMDB.com for some reason so I’m not sure why that stuck in my mind! In the second one I was at work and my boss was trying to order tickets for Cineworld for one of my colleagues who was retiring. Firstly, I can’t imagine this boss ordering tickets to Cineworld and secondly the colleague retiring is not a cinema goer! Oh and the tickets were costing the firm £818! I KNOW! I helped out by doing the Orange Wednesdays deal – which is now finishing! I think that’s why Cineworld came into it – I’d had an email from EE to say the deal was finishing this week. I’ve noticed a lot of snowdrops around the place recently – in fact I had thought about making this my Find Beauty subject but alas I couldn’t get a photo since they’re always along the side of busy roads. Anyway, it got me thinking that we ought to start planting things in our garden. Last summer we got the garden re-done and seperated the doggy area from the main grassed area. We’ve got raised borders around the grassed area and we want to plant some flowers, shrubs and trees. 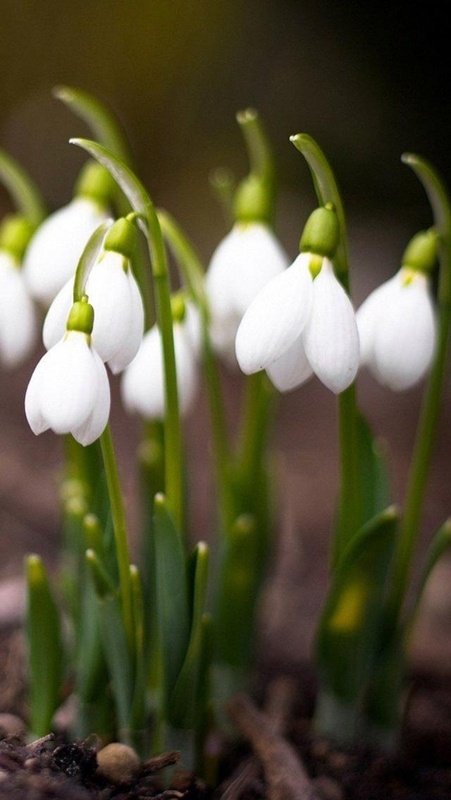 I’ve decided that I want some snowdrops! It’s too late for this year so I’ll have to look into it for next year. I’ve also decided that I would like some cherry blossoms especially after seeing this gorgeous photo on Pinterest! I’ve done a very brief doodle of our garden and what I would like ot plant. I might ask one of my colleague (the one that was retiring in my dream!) for tips as she’s an avid gardener and if I remember correctly was awarded a best garden prize recently. Awww, that is the sweetest picture of her and her teddy! Thanks for linking up with us this week! Thanks! She loves her Mr Bwns so much! Cherry Blossoms are so beautiful. The only ones I really remember seeing in person are the Japanese Cherry Blossoms around the Tidal Basin in our nation’s capital Washington DC. They only bloom for a week every year in Spring time and are the brightest petal pink. Great choice for flowers! I found your post linked-up through Dearest Love’s Coffee Date and have participated with my own post. Yeah I do! It’s a beautiful place! You should check out some of my Photo Day posts – photos of my area. What’s your favourite book? I think that’s why I like the cherry blossoms – the lovely colour of the petals. It’s called “Circle of Stones” by Anna Lee Waldo. It’s in the 12th century and follows the journey of Madoc the Welsh Viking who discovers America before Christopher Columbus. Such a good read! Sounds like an interesting book – I’ll keep an eye out for it. Such a sweet sweet photo of your daughter and her lovey! And yes, I remember the crazy pregnancy hormone dreams. I already have vivid dreams plus pregnancy and sooo crazy! Thank you.. .she’s a cutie that’s for sure! Pregnancy dreams are just too weird! Lovely flowers, too! I so wish that I could plant flowers and have them stick around longer than a week or two. I need to learn! Same here – not a green thumb at all! We have a little garden at our new place and it had seeds from previous flowers that are starting to grow, can’t wait to see pictures of yours! I haven’t even planted flowers yet! I’m going to have to get something sorted soon though!